Cinema, built 1930-1931 by C. H. Gonda. Opened 1 Jan 1932 with the film "A Free Soul". 1080 seats. 2003 converted to a multiplex, destroying the original interior. 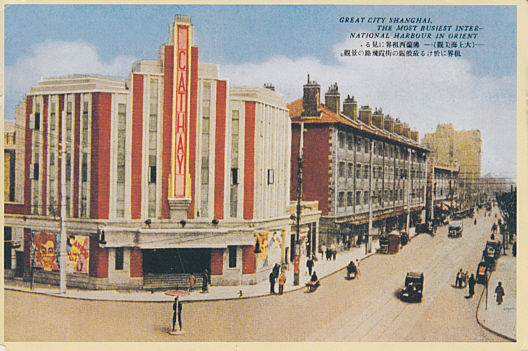 Front Text: "Great City Shanghai. The most busiest international harbour in Orient. ", inscription: "Cathay"